Phi Beta Lambda is the collegiate division of the national association, Future Business Leaders of America - Phi Beta Lambda, Inc. As the premier student business organization, Phi Beta Lambda's mission is to bring business and education together in a positive working relationship through innovative leadership and career development programs. Business and education are brought together when students preparing to enter the business field interact with those persons already working in the business world. Through this interaction, student members learn how to become more marketable, and they gain contacts in the business world that will help them accomplish their career objectives. In the Middle Georgia State University Accounting Association, join other students as they network with area accountants, learn about accounting opportunities, expand career goals, and have fun. Obtain an application at the School of Business reception area on the 3rd floor of the PSC building. Complete and turn in the application, with payment, to administrative assistants, School of Business, or to Dr. Carol Sargent, PSC 384.
www.aicpa.org - American Institute of CPAs: The national organization of certified public accountants. Student membership information/ application. www.gscpa.org - Georgia Society of CPAs: The state of Georgia website for CPAs. Student membership information/ application. Society for Advancement of Management (SAM) is a nonprofit organization that was established in 1912. Its mission is to provide an opportunity for the members to increase management skills and expertise through participation in programs and services designed to improve the professional quality of their knowledge, performance, and leadership ability. Welcome to the exciting world of Management! Come and have fun while you expand your horizons. 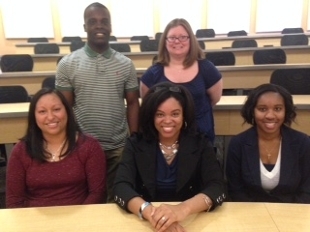 For more information on joining the SAM campus chapter, please contact Dr. Simone Phipps at simone.phipps@mga.edu. You may also visit the national organization’s Facebook page at www.facebook.com/SAMnational.